I don’t consider it a guilty pleasure, but I like Jazz. In prog terms the distance is not that great, and much of Yes’ output I consider to be Jazz influenced. So when this album fell to me with indications of progressive touches I was intrigued. It is a very good, late night, lounge Jazz style album, great when I don’t want the Mach 9 influence of AC/DC when driving late at night, but involving enough to keep me listening. I like it – but will you? Jazz divides – ‘Marmite’ music – but it has borne fruit within the genre of Prog; found in the aforementioned Yes, in the court of the Crimson King, and many other bands who were prepared to experiment with the boundaries of genre – and some might say good taste. 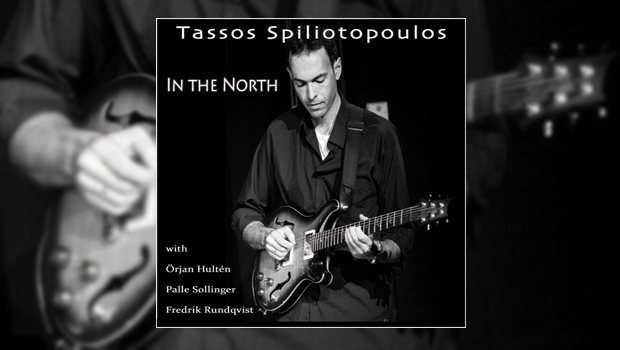 Tassos Spiliotopoulis and his assembled musicians do this to good effect. My guilt, that it is, is the many months I have delayed finishing this review, so apologies to Tassos. I always knew that work was a bad interruption on the important things in life! Waterfall opens the album. To coin the words of The Fast Show; “Nice”. It’s very nice, not unlike one of the pieces of music that accompanied the information films of the late ’60s/early ’70s, Sheffield or Balham. Laid back and relaxed. Emerald Blues only slightly changes the pace, some really chilled saxophone going down here, and again a cinematic quality to the music, with a bass line throughout similar to Tubular Bells it moves along breaking into a guitar lead that is both Jazz and Prog. At times, the music has a touch of the Miles Davis with a smidgeon of Brubeck. It doesn’t send the shivers like Miles does but it’s really cool at times, while the rhythm seems Brubeck-ish. By Way Of Fire needs to burn a bit more but it is a good tune. Ποιμενικόν is Jazz with a rural Greek twist, seeming a little freer in structure, the cinematic theme continues throughout, and I feel the urge for Lamb Kleftiko for dinner, washed down with some ouzo. As frolics go, Friday’s Frolics is a fun little piece, strictly Jazz and tamer than my Friday’s of yore. Downfall is downbeat, hints of Pachelbel’s Canon with noodles. The quality of the recording is excellent, the tunes are very good, but I think more for the established Jazz connoisseur than Proglodytes dipping their toes. Underground and Old Demons round off a very enjoyable Jazz lounge album for me, and from that perspective I would invite you to part with your cash. However, if it’s your first time, perhaps one of the classics; Sketches Of Spain, Kind of Blue, Take Five, these might be a better introduction. Jazz waters run deep, and for the novice, even though this is very listenable, the water may be too deep without a life jacket. Nothing wrong with a little experimentation though.